One of many ‘Best Memories’ from my time in New York City this summer was getting to see the new Broadway musical AMAZING GRACE. WOW! If you are headed to NYC and you can only see one musical, then please make sure to see this one! Before we went on tour my friend Debby and I pre-purchased tickets to the popular musical Matilda for our day off, but when we later discovered we would have time to see a matinee, I scrambled for last-minute deals. That’s when I discovered Amazing Grace. I was excited to see that a Musical Play had been created from the miraculous and inspiring life story of John Newton – a man destined to change world history, and the author of arguably the most famous hymn in all liturgy. 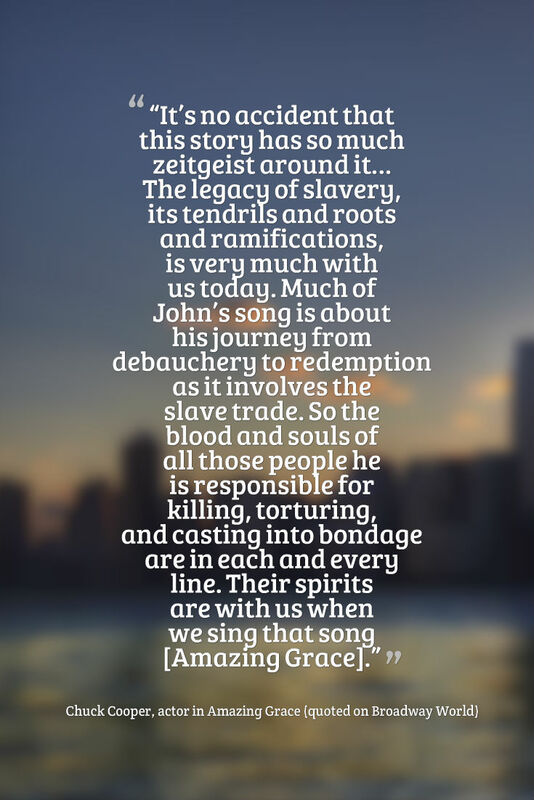 I had loved the 2006 movie Amazing Grace, so with that as my reference, I knew the dramatic true-life story of a British human-trafficker turned convert-abolitionist was perfect for a theatrical retelling – and as a musical, even better! The road to Broadway for this musical came via Chicago, where the show was a critical success and brought audiences to their feet in joyful tears each night. I couldn’t wait to see this show. I just hoped my high expectations would not lead to disappointment. I have to mention the TodayTix app I used. I was apprehensive because after purchasing your tickets on the app you’re told to meet someone outside of the theater doors (“on the left side”) who will hand them to you in an envelope. This sounded a bit too ‘cloak and dagger’ (i.e. ‘scam’) to me. But after scoping out some reviews online I felt reassured it was legit, so we went for it – and I’m sure glad we did! We scored prime $139 front balcony seats for only $60. When we arrived at the theater 30 minutes prior to curtain, there was our smiling little TodayTix rep in her red TodayTix shirt with our tickets in hand as promised. 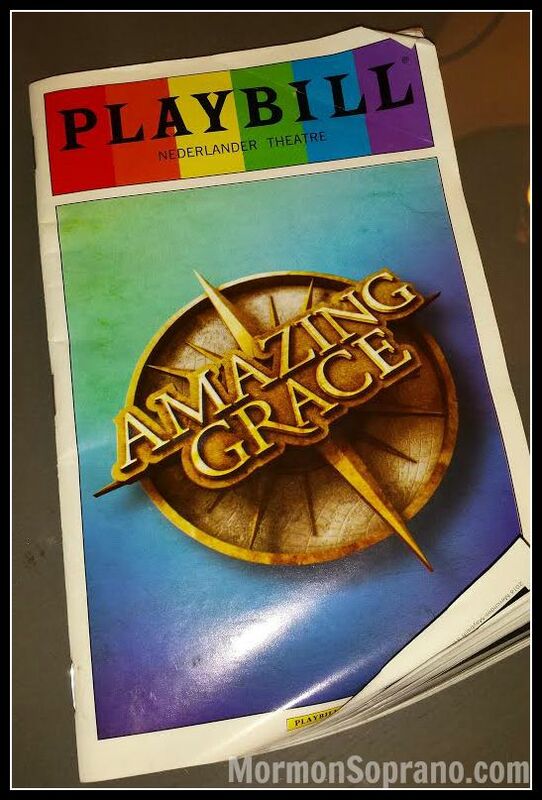 This was Sunday, June 28 – Day 3 of “Previews” for Amazing Grace. I learned that when a Broadway show is in it’s final weeks before grand opening they do approximately two weeks of “preview” shows. This is the time to perform with a live audience without the pressure of professional critics in the house and a chance to work out jitters and glitches. Each night they make a few changes – anything from a large revision to just small tweaks. Then the show goes ‘dark’ for a few nights before the big grand opening night – which for Amazing Grace was Thursday July 16, 2015. So, how lucky is that? I can always say I saw this beautiful show fresh from its start on Broadway! I look forward to the chance to someday return and see the “final final” version (but honestly, we couldn’t see anything that needed to be changed, except a small snafu with a set piece that we were probably the only ones noticing with our theater-sensitive eyes). I hurried and put up an instagram here, and here with our positive feedback and reactions. Our front balcony seats were definitely the BEST place to sit in the cozy Nederlander Theater, in order to enjoy the full bloom of sound, and see all of the action unobstructed. I’m happy to report that this musical not only met but far exceeded all of my expectations! The casting is so strong and every one of them gave exceptional performances. Josh Young (John Newton) carried the leading role with confidence and emotional investment. There were moments toward the end when he had tears streaming down his face and that just made it all the more emotional for the audience. Young has one of those stunning gifts to not only be able to hold a note for eternity, but then crescendo at the end. Leading lady Erin Mackey brings a solid classically trained voice to the role of Mary Catlett – John Newton’s childhood sweetheart and oratorio soloist – a devout believer who wrestles with the societal traditions she is bound by, and who has the courage to act on her beliefs. The two most compelling and powerful cast members are arguably Chuck Cooper (as John Newton’s man-servant slave Thomas/Pacuteh) and Laiona Michelle (as Mary Catlett’s maid-servant slave Nana). They bring tremendous depth to the show, and each have showstopper solos that resonate with our soul. My playbill is bent and wrinkled due to my wet hands from wiping so many tears! Beautiful vocals, strong acting, committed cast and crew, gorgeous costuming, stunning set design (with the most epic underwater stunt scene that leaves you completely spellbound) … all combining to tell the true-life story of John Newton – a rebellious, bitter, callous son of the British slave ship empire – who was lost, and then against all odds, found. For me, watching this play was a very personal, spiritual journey. Honestly, I loved this musical so much it’s hard to put into words. It touched me deeply. It made me weep pretty much non-stop (and I wasn’t the only one scrambling in my purse for tissues, and then robbing the bathroom stall of toilet paper during intermission…). It filled my soul with hope for humanity. It reminded me of the power music and theater can have to teach and heal our souls. 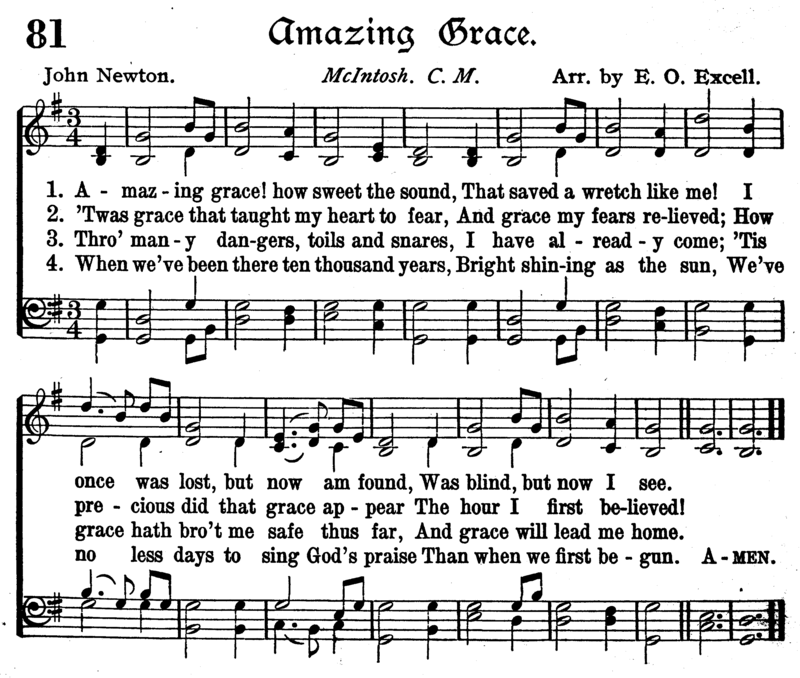 At a time when our nation – and our world – is experiencing so much hate and renewed racial conflict, I personally do not think it is an accident nor coincidence that the message of John Newton’s life and hymn has been brought forth at this time and place. As far as I’m concerned, this musical is an inspired message from God. And, who knew that could happen in the same place where just a few blocks away plays are glorifying debauchery and mocking faith? Imagine the words and message of John Newton’s hymn AMAZING GRACE being sung daily from the theater district in New York City – cast, crew and audience rising to their feet – each diverse voice joined together in a musical prayer, knitting hearts together in love and brotherhood – Imagine the power of that! Previous postWest Point Academy 4th of July Surprise! You knocked one out of the park this time! I haven’t been to see this, and perhaps will never get to go, but the hymn has touched me in deep spiritual ways. I have sung it countless times, including at the funerals of my in-laws. I have also recorded it after the deaths of my boys. And I do know the story behind the words. It is truly Amazing Grace. Thanks Betty, I hope you will get to see the show sometime. You would love it. Holly that sounds wonderful. Maybe one day they will have a touring company do it and it will come the the Theater for the Arts in Louisville. 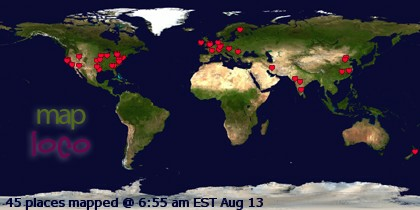 We get a lot of good shows. If so, I will be sure to go see it. What a wonderful show to have on Broadway. I’ll have to go on the New York Times website and see if there is a review. For some reason, I doubt that the critics would see it the same way we would (lol). Or maybe God would use this play to touch their hearts, we can only hope and pray. Holly, here is the link to the New York Times review. Just as I thought, the critic didn’t give it the glowing review you did. I prefer your review. You can tell when a person has a relationship with Jesus. You saw the play for what it can do, the critic saw the play with a cold eye. He didn’t see the possibilities for touching people’s hearts for the Lord. He didn’t really get the redemption part. When you know the Lord, everything in life is seen through different eyes. I was thinking about my own experience while reading your review. How true it is, once you’ve experienced that Amazing Grace in your own life, there’s no turning back. This is definitely a play of and for the people, not the critics (although there have been some very complimentary reviews elsewhere). And now, it is up to ‘the people’ to either make or break the show’s run on Broadway. I’m pulling for the people!